Every yachting destination has their peak and lean seasons and R. Rathnam, managing director for Asia Pacific Superyachts, assists many owners and captains in determining those seasons in the Andaman Islands that are best suited to meet their needs and desires. 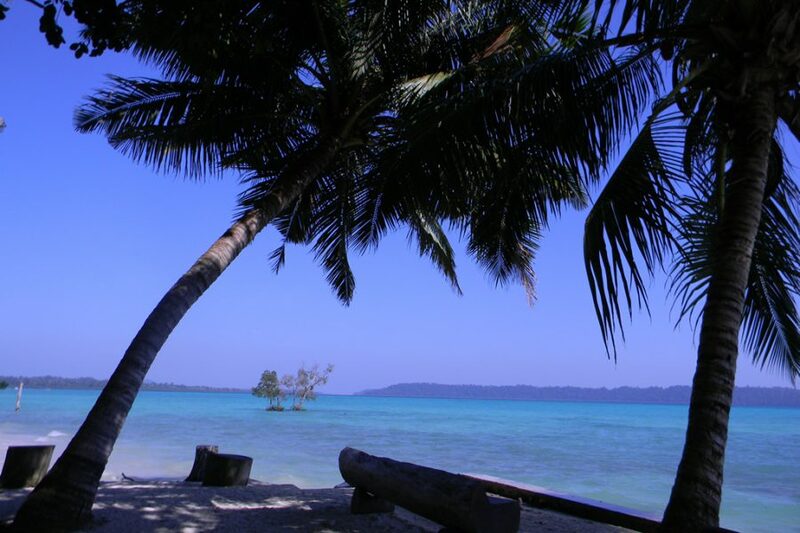 The Andaman Islands consist of a group of 572 Islands, with only 36 inhabited. These islands, islets and rocks, located in the South East of India in the Bay of Bengal, lie along an arc approximately north-south and cover a distance of nearly 800 km. The best departure ports for reaching the Andaman Islands by sea are Phuket, 400 NM from the capital of Port Blair; or Langkawi (510 NM). The best season is from mid-December to end of April when warm and sunny conditions prevail along with a reliable 20-knot wind. From Phuket, the voyage takes around two days and with a day for checking in plus half-day to check out and two days for the return voyage. Port Blair is a quaint, colonial town and your agent can fuel up and source basic food provisions while completing paperwork. Mr R. Rathnam of Asia Pacific Superyachts reports major supplies may be sourced in advance with APS, as the islands lack a developed infrastructure. The most advantageous time for yachts to visit the Andamans, reports Rathnam, is from the Christmas season to end of April in 2017. A general overview of the weather affecting visiting vessels as well as the best time to visit and why is reported below to assist those scheduling the Andaman Islands as their cruising destination. The peak time to visit is between December and March. Once the festival of Sankranti ends around January 15th, the weather turns warm. With no rain-bearing clouds and no winds to stir up the sea, the clear blue skies and serene, cool seas can be enjoyed while cruising and anchoring. Looking at a broader time range, October till mid-June is the best season for visitors in general to visit the Andaman Islands with October being the start of the season every year. The heavy south-west monsoon showers are over by September. Rathnam says, “The entire area looks decked up in fresh greenery after the rain, and each of the islands looks pretty, beautiful and ready to welcome the festival season. The weather remains temperate thanks to the intermittent rains. Happy with rain-assured bountiful crops, the local people get ready to celebrate the festival season and welcome visitors. And with the monsoon season over the scuba diving season starts with waters turning calm, clear and flat. Underwater coral reefs and marine life put up a great show offering a memorable visit for scuba diving and snorkelling enthusiasts, adds Rathnam, “Yachts can head north or south from the capital, viewing stunning islands along the way with the best anchorages easily reachable. Exciting and adventuresome island cruising for superyachts accessible only by boat include islands with the unlikely names of Inglis, Sister, Passage, Brother, Barren, Narcondum, Little Andaman, Interview, Neil, Cinque, Henry, Lawrence and Button. February and March are the best months to explore the exhilarating marine life, he reports, “If you are a scuba enthusiast, choose a time to visit between February and March for heading north to visit Havelock Islands. You can be assured of excellent and exhilarating views of undersea marine life – thanks to a flat and smooth sea with no wind and near-perfect visibility. Havelock is the most popular tourist island with Havelock Beach Number 7 the busiest. Most superyachts head on to more isolated islands, offering stunning marine scenery and experiences. Through the Diligent Strait, Peel Island and Henry Lawrence Island offer secluded anchorages for snorkelling and interesting coastal outcrops to explore. Due to the Northwest monsoon, moisture laden breeze and intermittent rains keep the temperature pleasantly cool throughout November, December and January while enjoying the mild sun during the day with evenings a little cooler. There are fewer tourists visiting the Andaman Islands during June, July and August, and the APS agent notes, "As a matter of fact, this is one of the best times and seasons to enjoy the bountiful showers from the monsoon. The rain-drenched highlights of the Islands, its pristine coastline and the abundant green cover will surely captivate you. They are monsoon’s best gifts to the Andaman Islands."